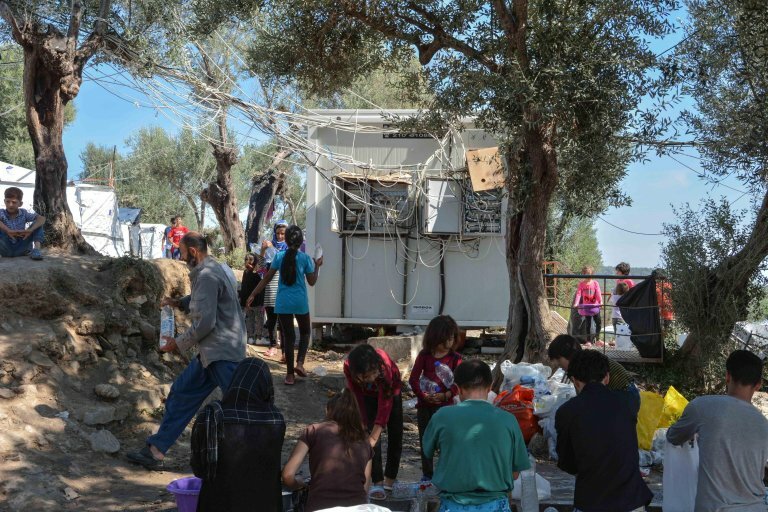 Doctors Without Borders (MSF) said in a statement that it has started vaccinating refugee children on the Greek islands of Lesbos, Samos, and Chios, using a programme set up to allow children in humanitarian emergencies to access the pneumococcal conjugate vaccine (PCV) at an affordable price. It said this marks the first time the "humanitarian mechanism" has been used in a high-income country. The programme offers the vaccine at a special reduced price of about nine US dollars per child (for the three doses needed for full immunization) for humanitarian use by civil society organizations and UN agencies. MSF said pneumonia remains the single largest killer of children under five worldwide, and children living in precarious conditions, including those in refugee camps, are at particularly high risk. It said the pharmaceutical corporations Pfizer and GSK are currently the only producers of the pneumonia vaccine, which is the most expensive product in today's standard childhood vaccination package. It costs 168 dollars in Greek pharmacies. "The high price of the pneumonia vaccine has blocked children from being protected against this childhood killer, when the disease is easily preventable with a vaccine," said Dr.Apostolos Veizis, director of Medical Operational Support Athens at MSF in Greece. "It's a landmark step that we are able to vaccinate refugee children even in a high-income country at this highly reduced price, but we need more vaccines to be included in this procedure," Veizis said. MSF said that thus far, the "humanitarian mechanism" has been used by organizations in several low-income countries, with MSF having used it to vaccinate children in Central African Republic, Niger, Nigeria, South Sudan and Syria. Although the "humanitarian mechanism" has been useful in protecting children in crisis areas, other countries still have difficulty accessing the pneumonia vaccine at a lower price. Approximately one-third of countries globally have not been able to include the pneumonia vaccine in their standard vaccination package due to the exorbitant price charged by Pfizer and GSK. "What would really make a difference would be to have new manufacturers willing to launch pneumonia vaccines on the market at affordable prices," said Silvia Mancini, an epidemiologist with MSF. The organization said Pfizer and GSK have earned 49.1 billion dollars in sales from the pneumonia vaccine alone since 2009. Pfizer and GSK are currently the only two pharmaceutical corporations that have committed their lowest global price for the pneumonia vaccine to the "humanitarian mechanism". However, their current offer is limited to use by civil society organizations and UN agencies and does not include use by governments responding to emergencies.